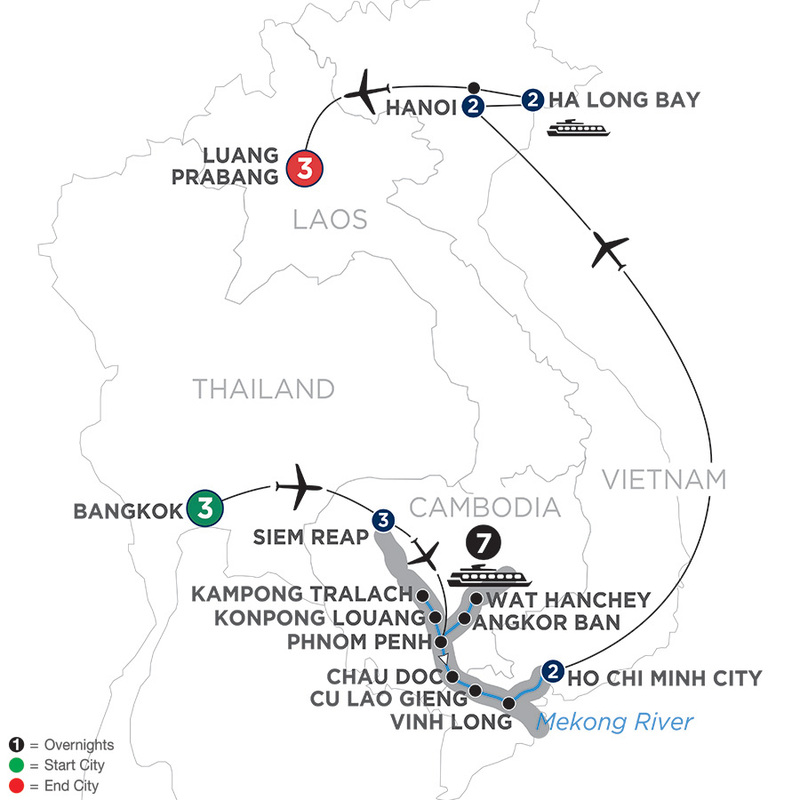 On this unique and inspiring Southeast Asia river cruise through Cambodia and Vietnam, you’ll be immersed in the cultures and ancient traditions as you sightsee and spend time with locals in the most fascinating places along the mighty Mekong River. 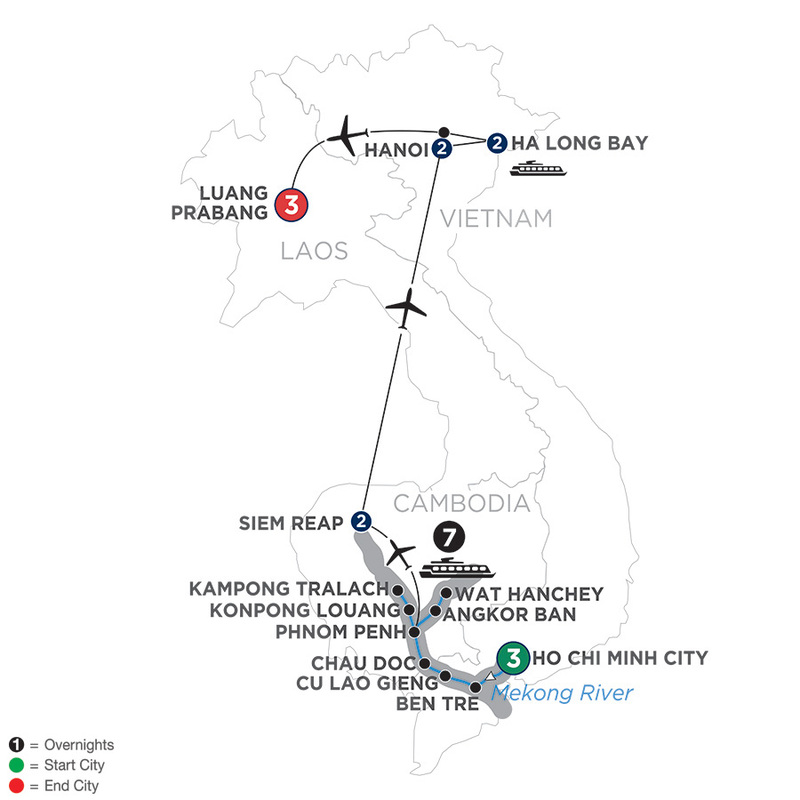 On this unique and inspiring Southeast Asia river cruise through Vietnam and Cambodia, you’ll be immersed in the cultures and ancient traditions as you sightsee and spend time with locals in the most fascinating places along the mighty Mekong River. 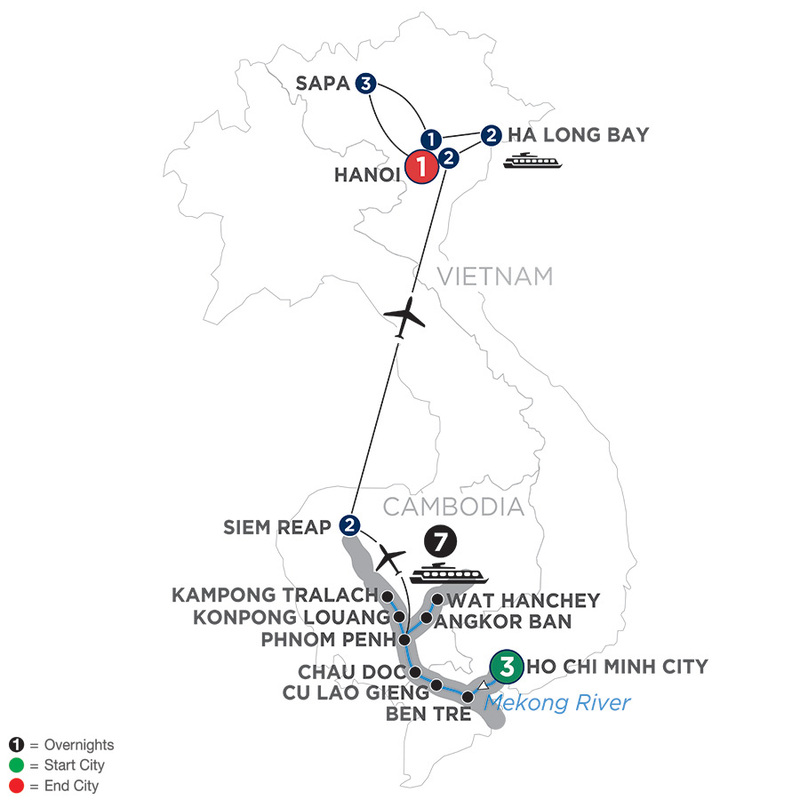 On this inspiring Southeast Asia river cruise through Vietnam and Cambodia, you’ll be immersed in the cultures and ancient traditions as you sightsee and spend time with locals in the most fascinating places along the mighty Mekong River. 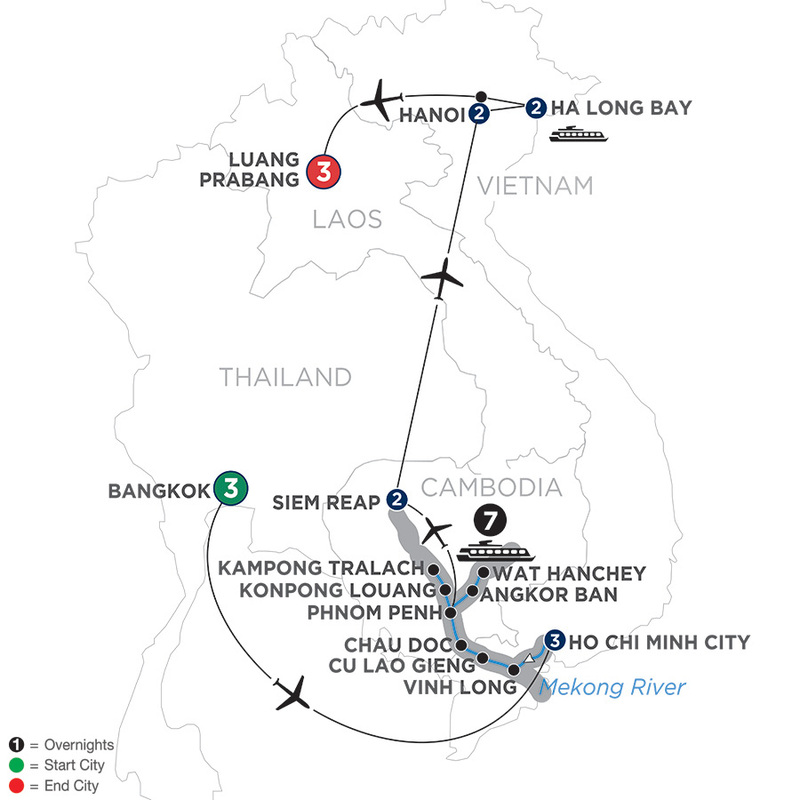 On this inspiring Southeast Asia river cruise through Vietnam, Cambodia, and Thailand, you’ll be immersed in the cultures and ancient traditions in the most fascinating places along the mighty Mekong River. 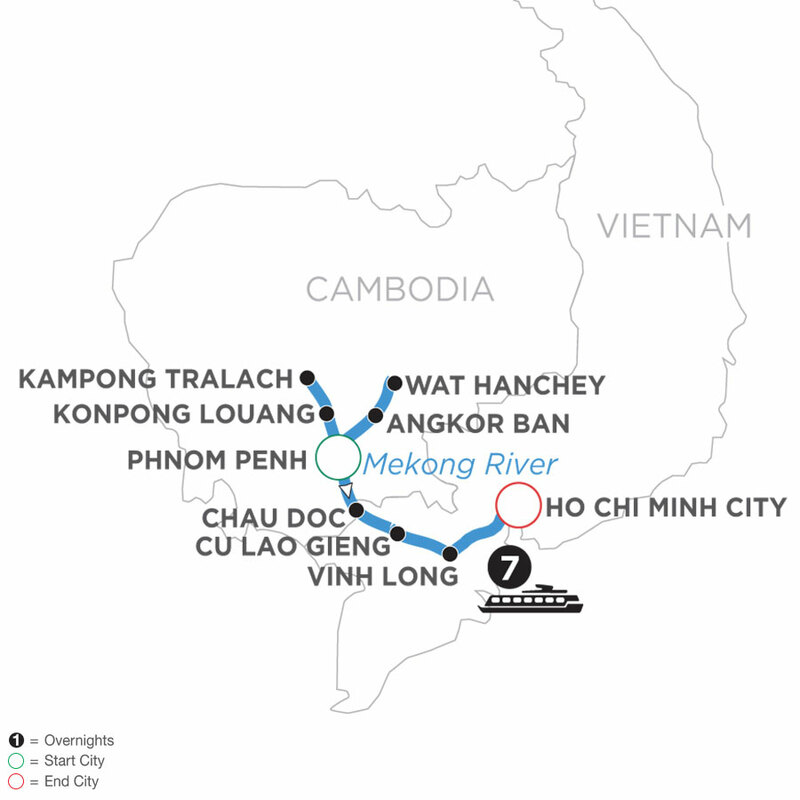 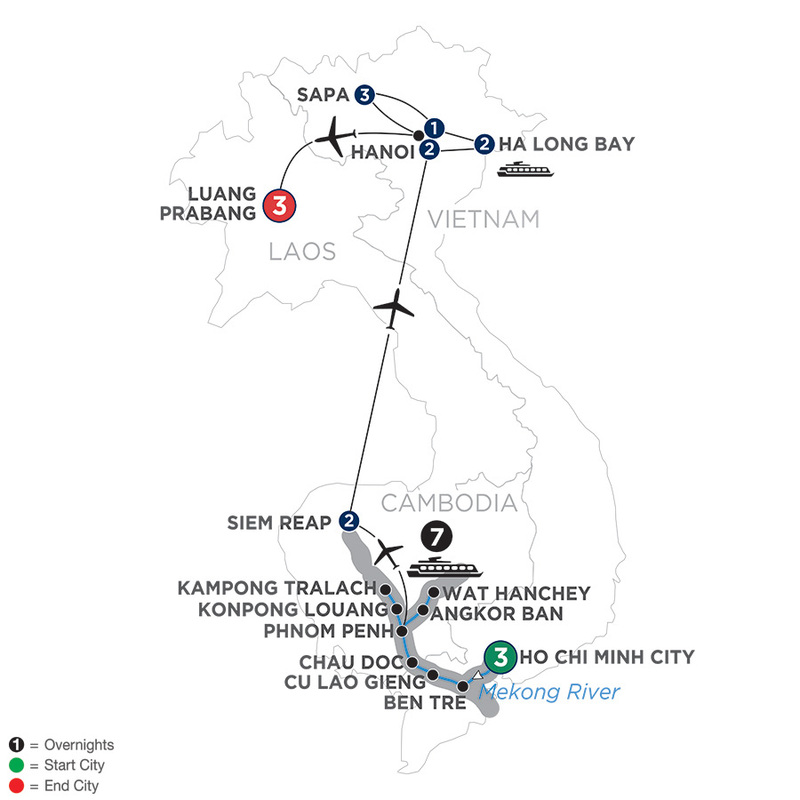 This magical Southeast Asia river cruise along the Mekong River will take you to Vietnam, Cambodia, and Laos, showing you the culture and local traditions of each country and the must-see sites along the way. 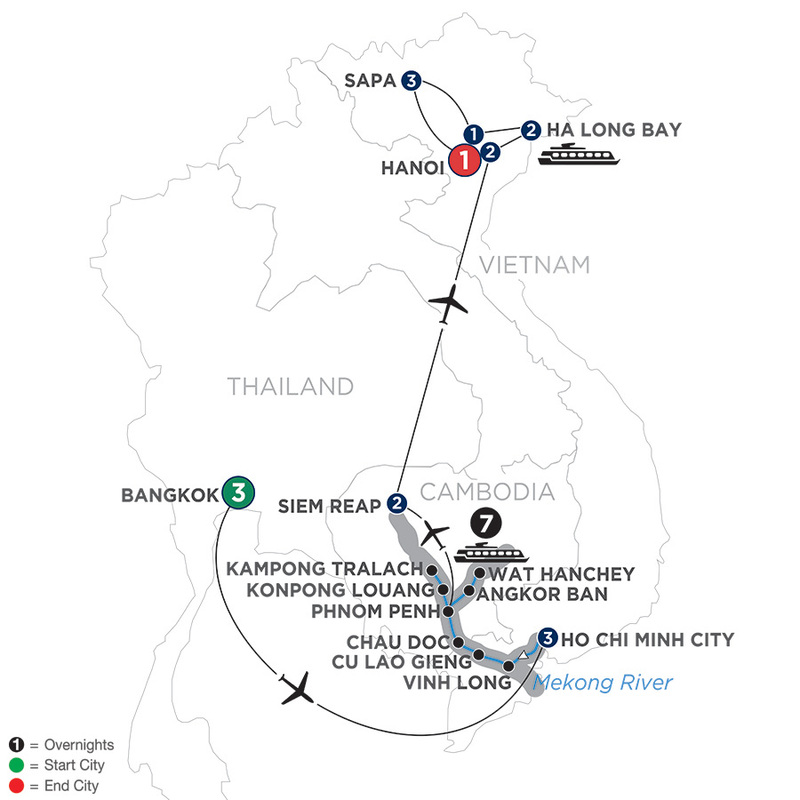 This magical river cruise along the Mekong River will take you through Vietnam and Cambodia, showing you the culture and local traditions of each country and the must-see sites along the way. 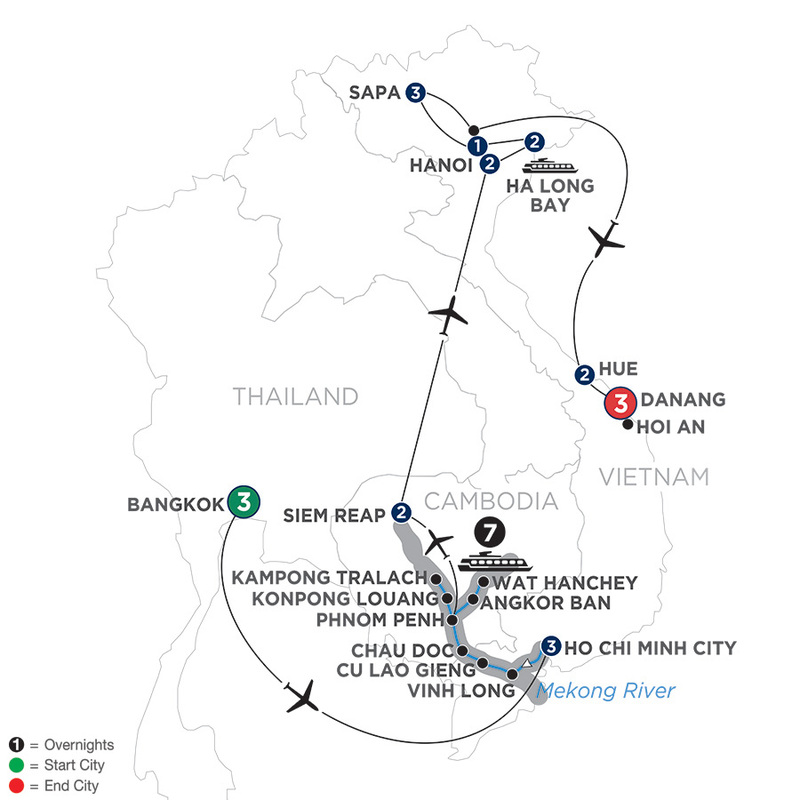 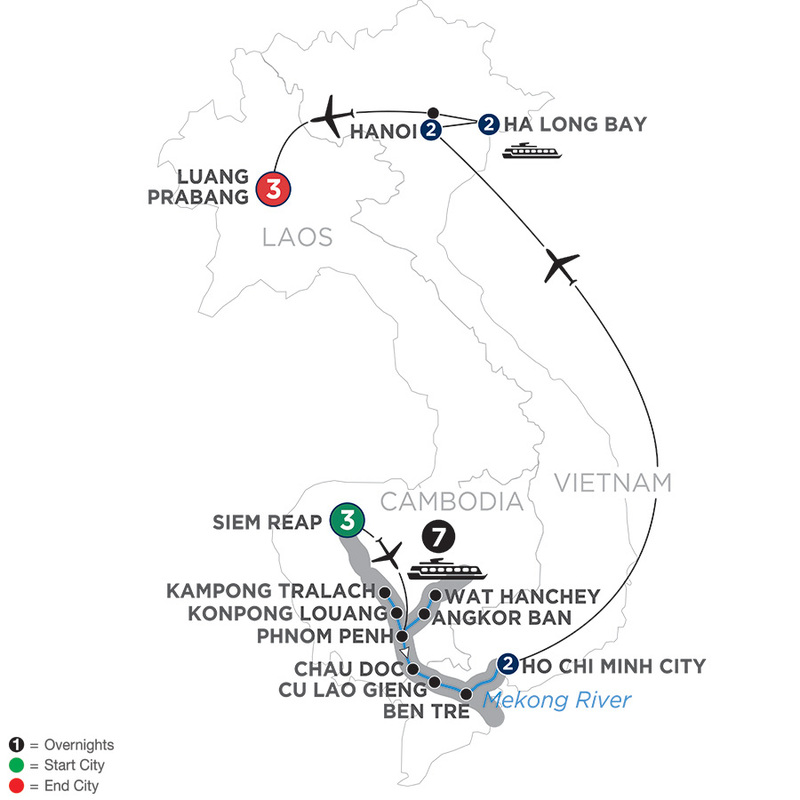 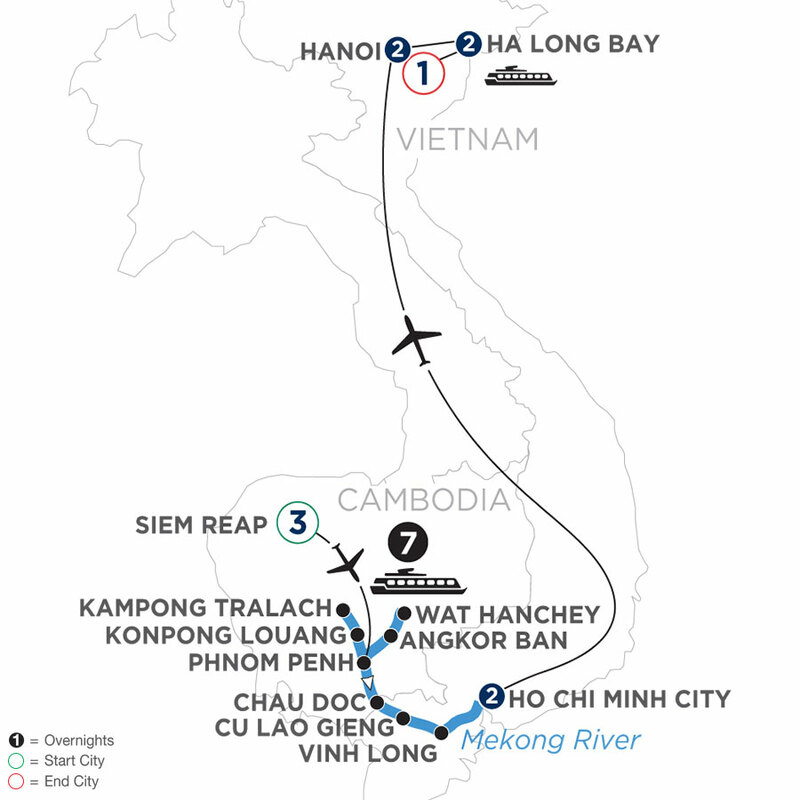 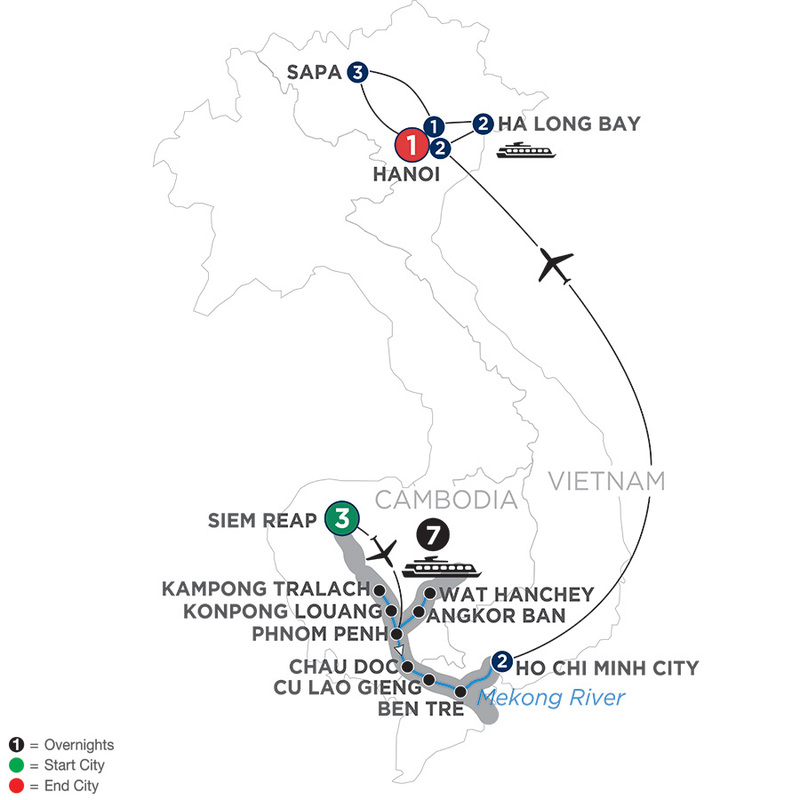 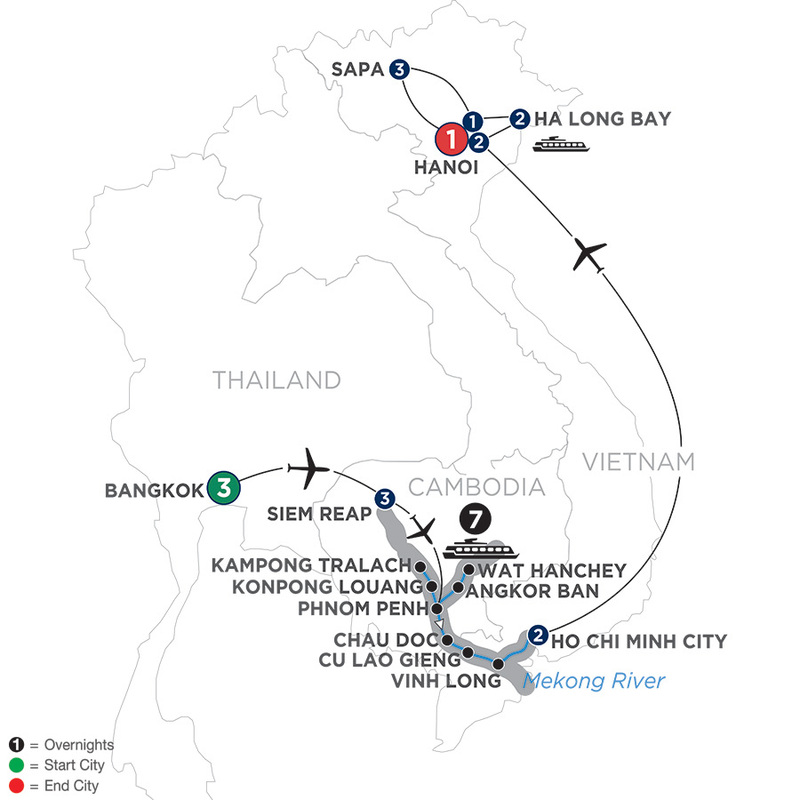 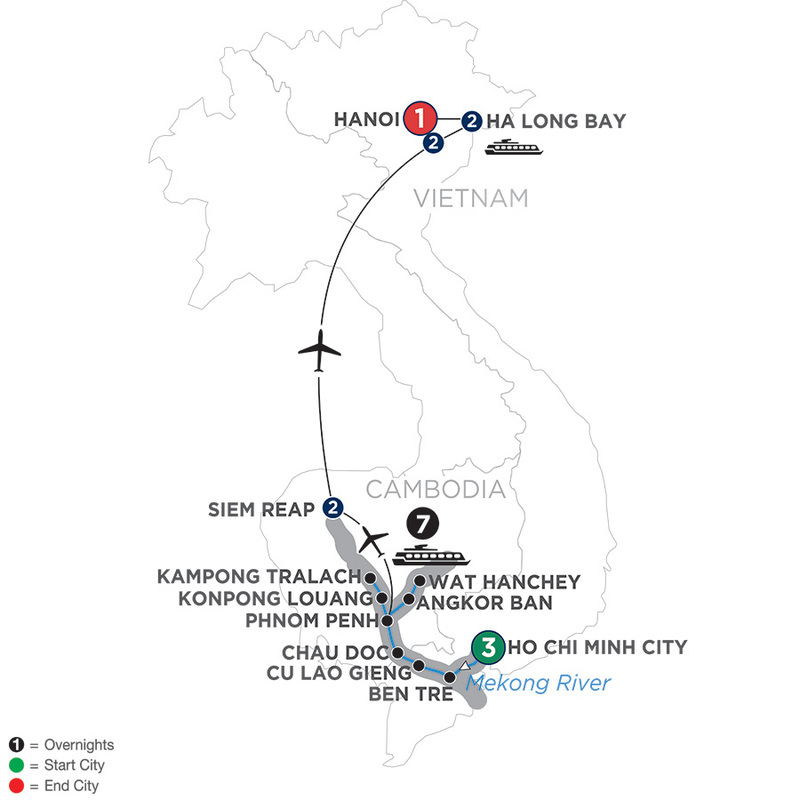 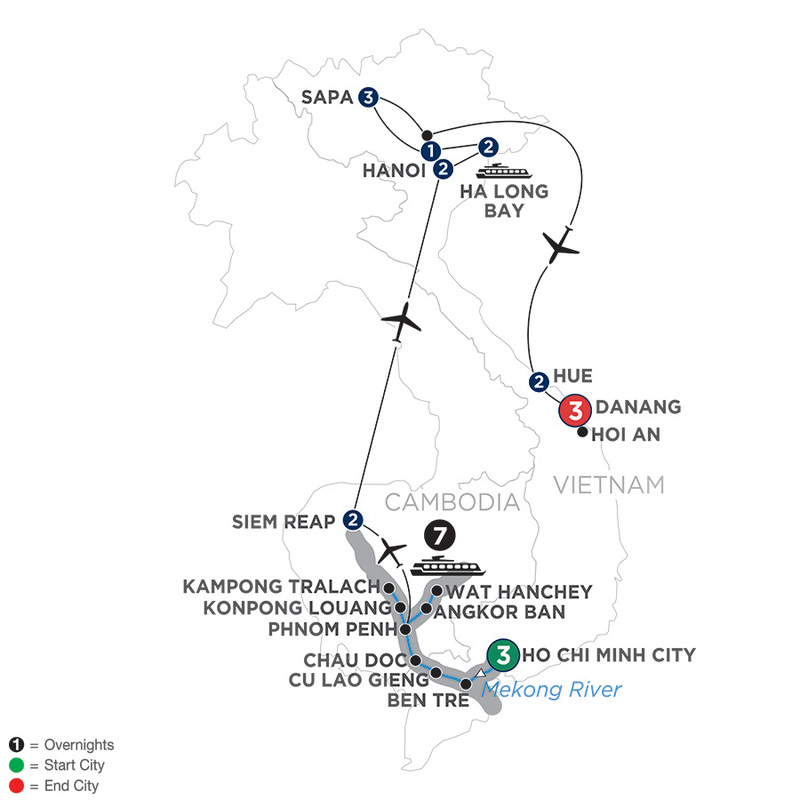 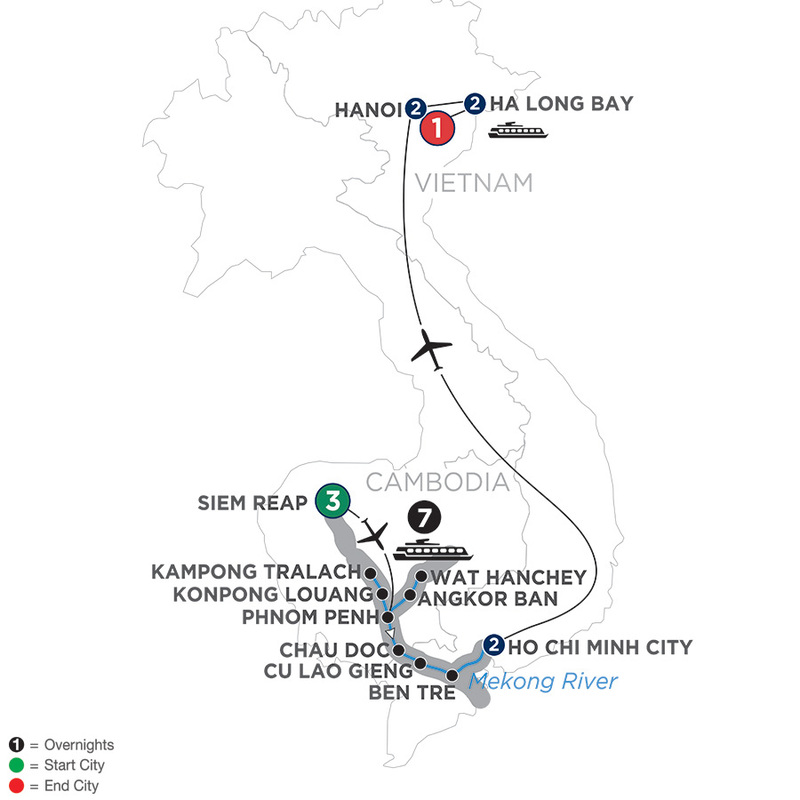 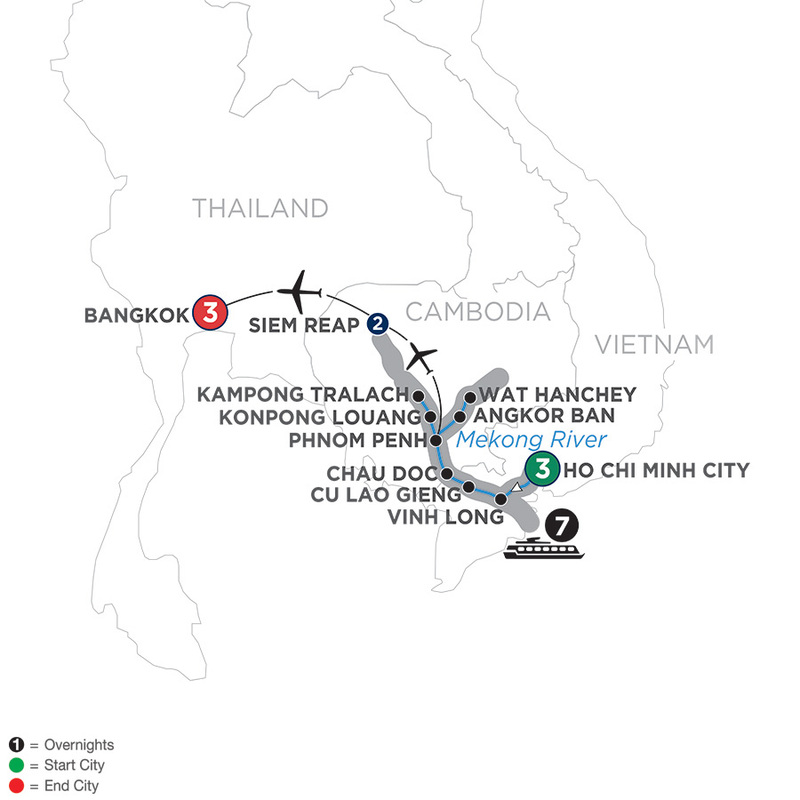 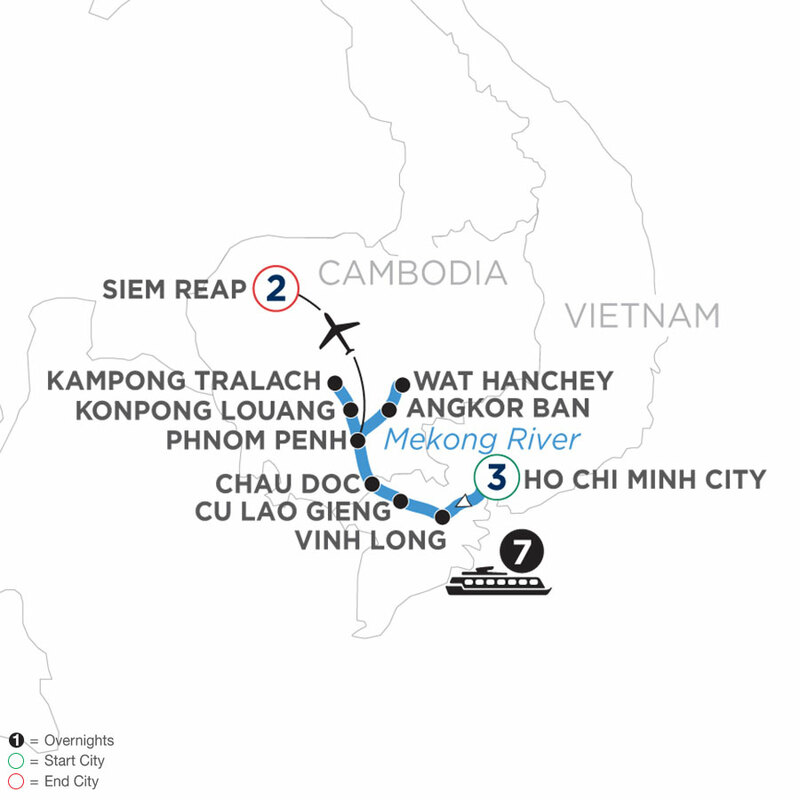 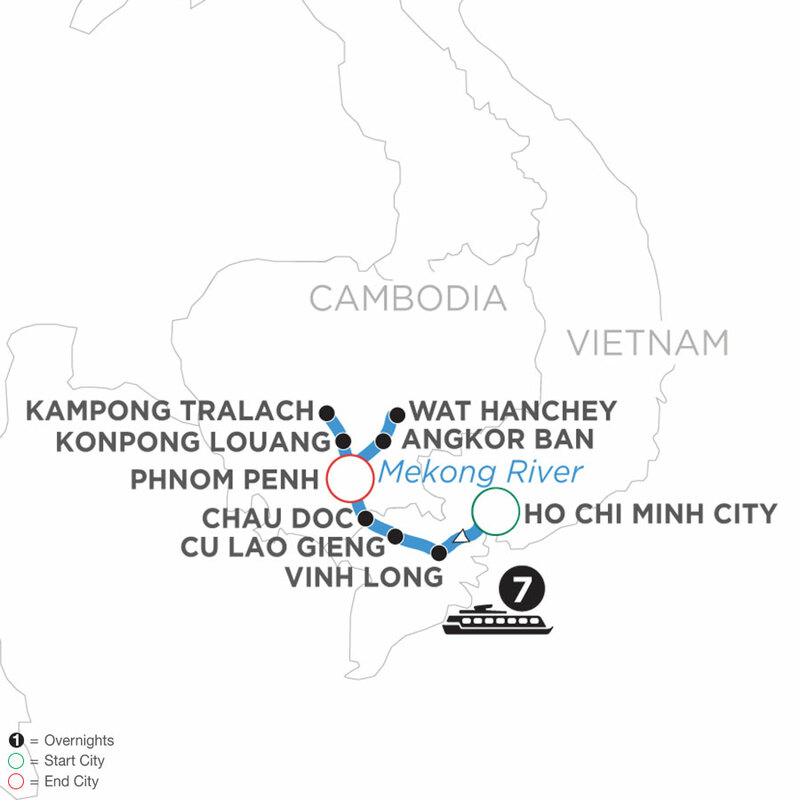 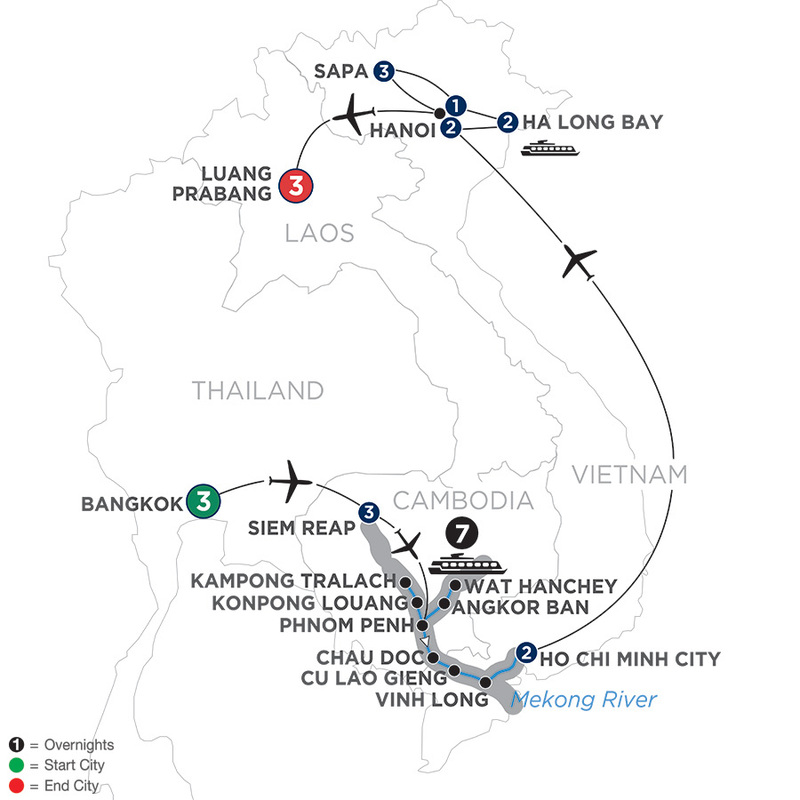 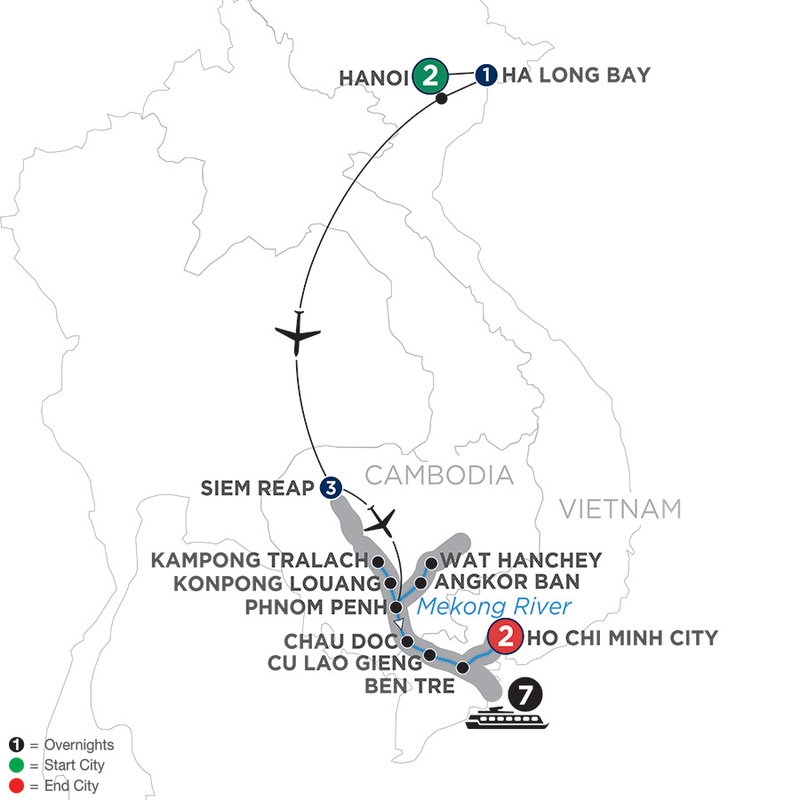 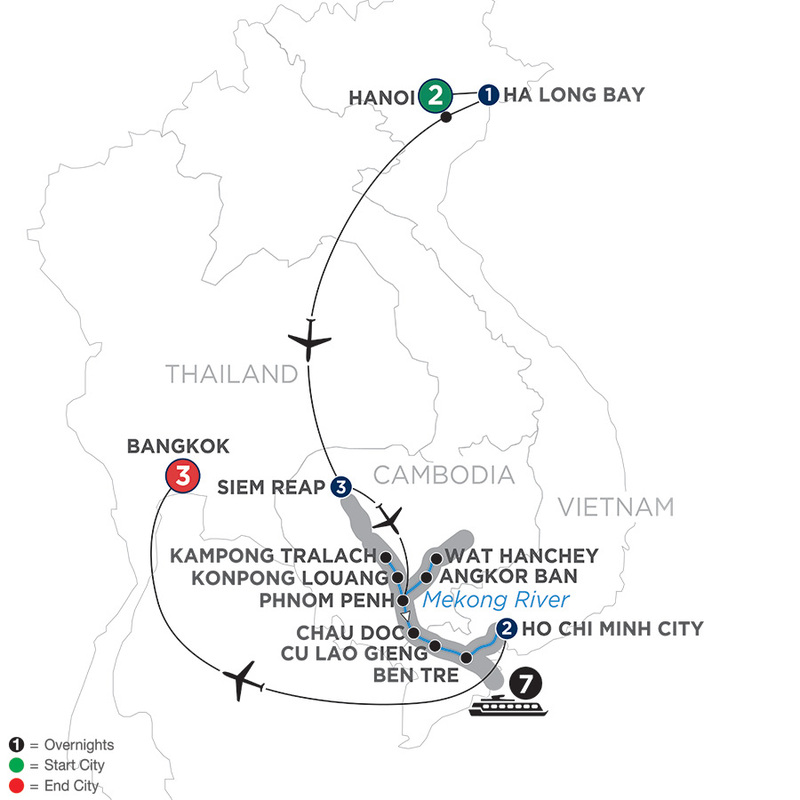 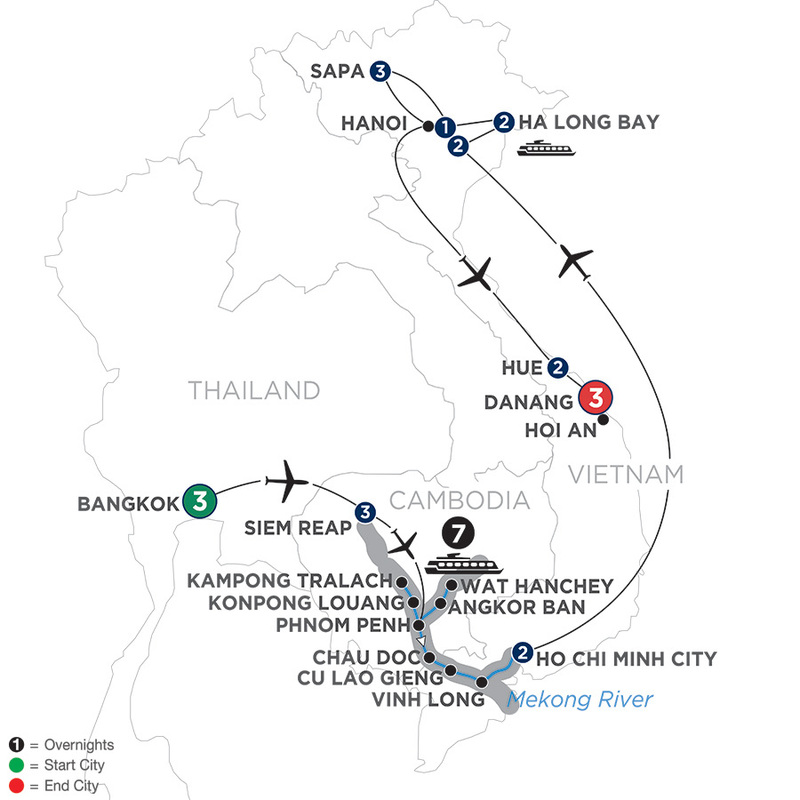 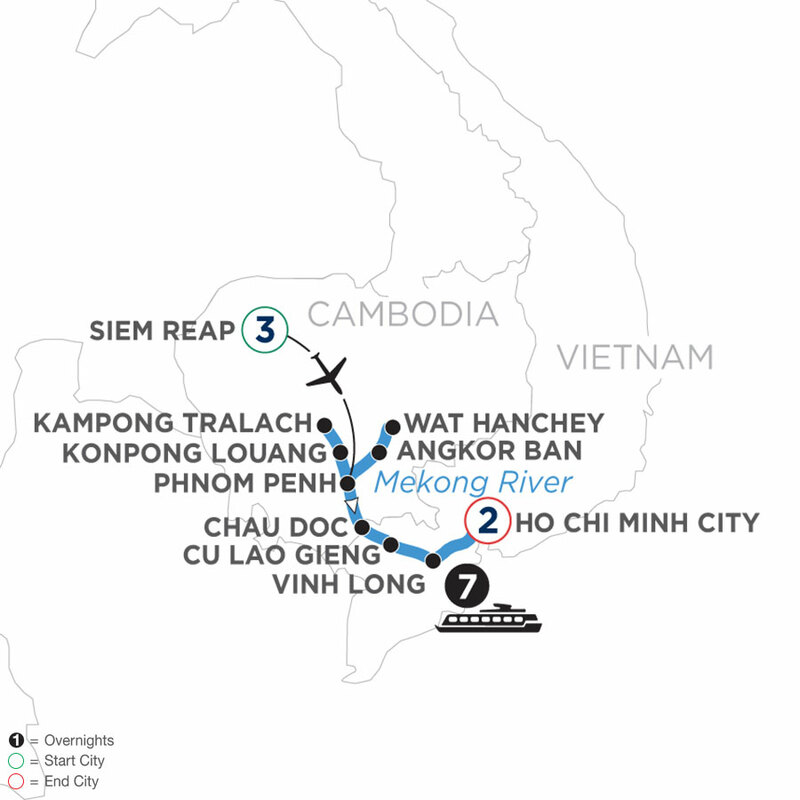 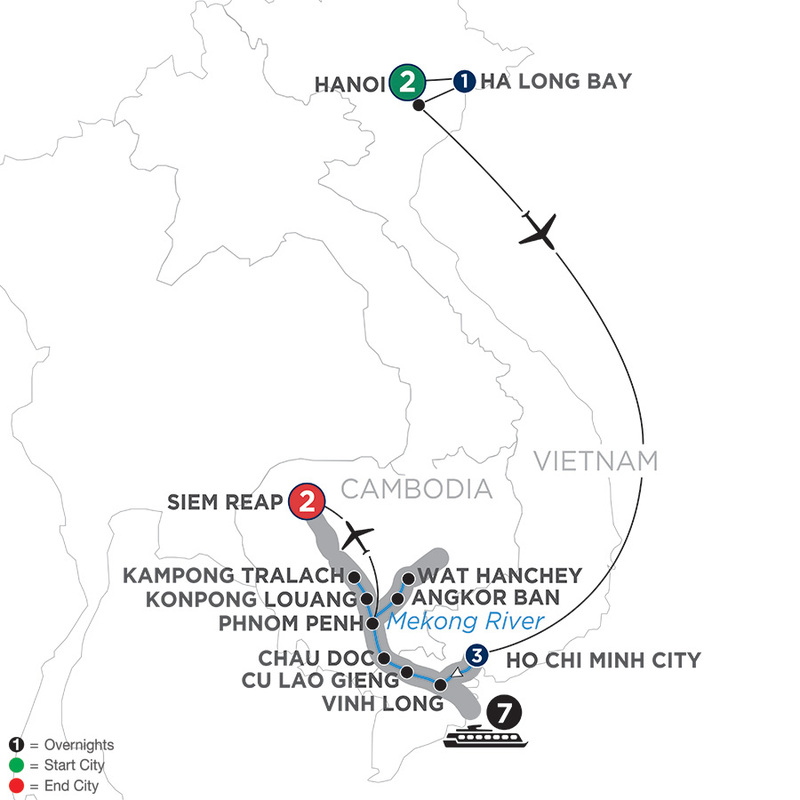 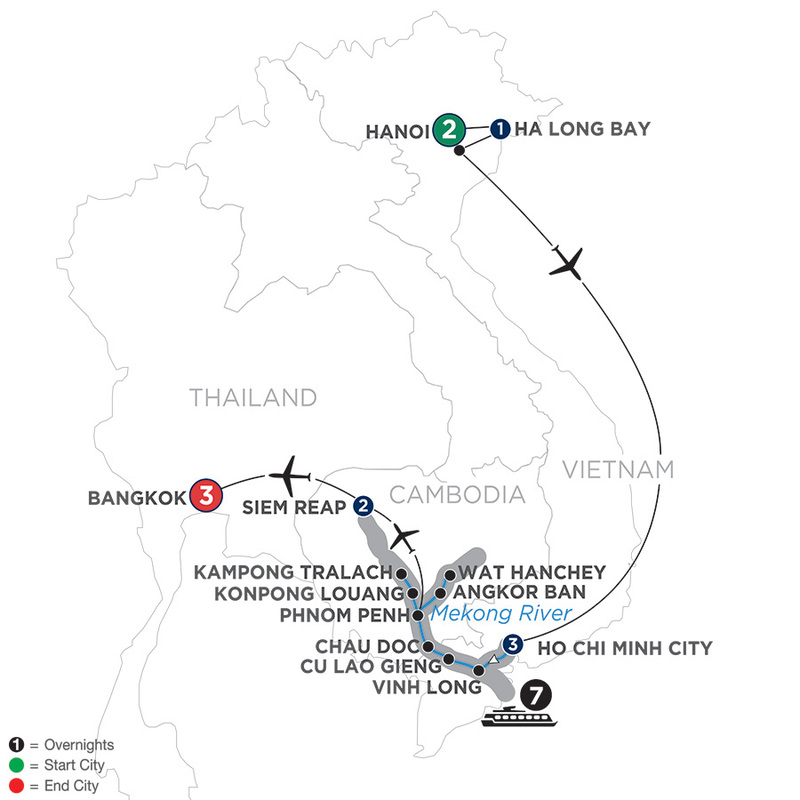 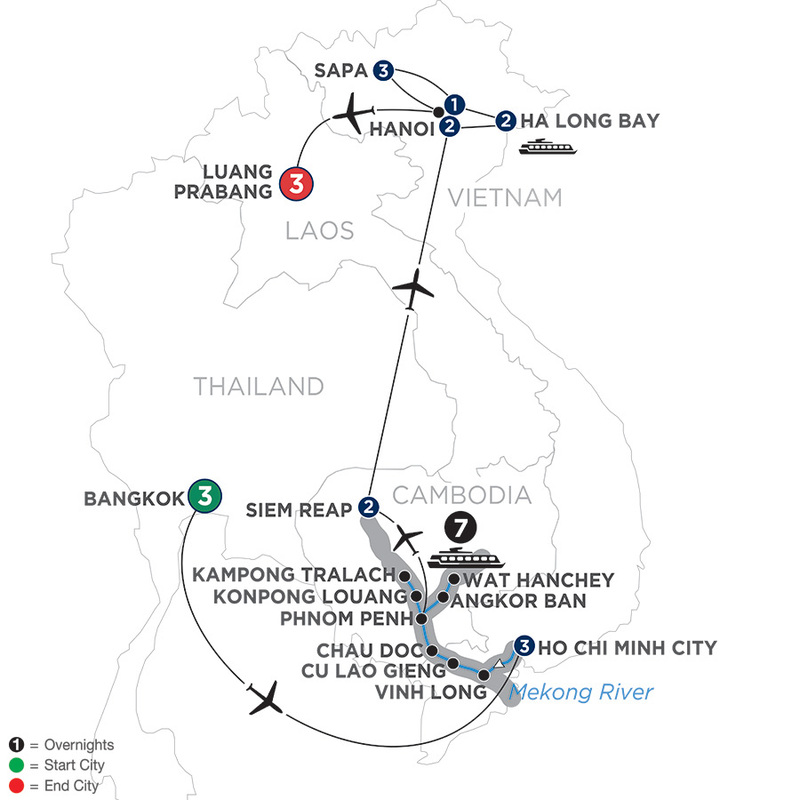 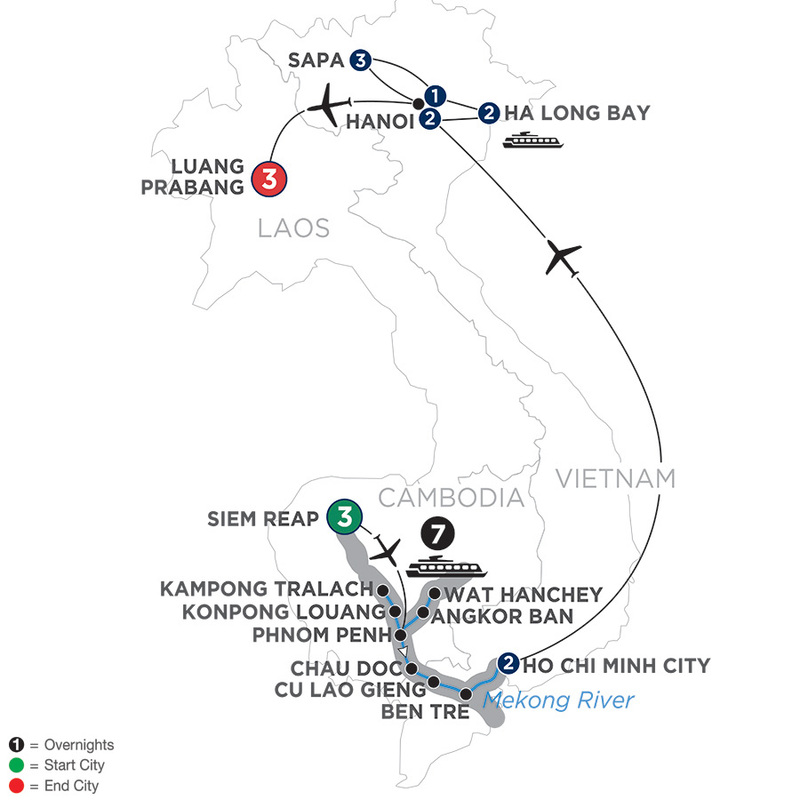 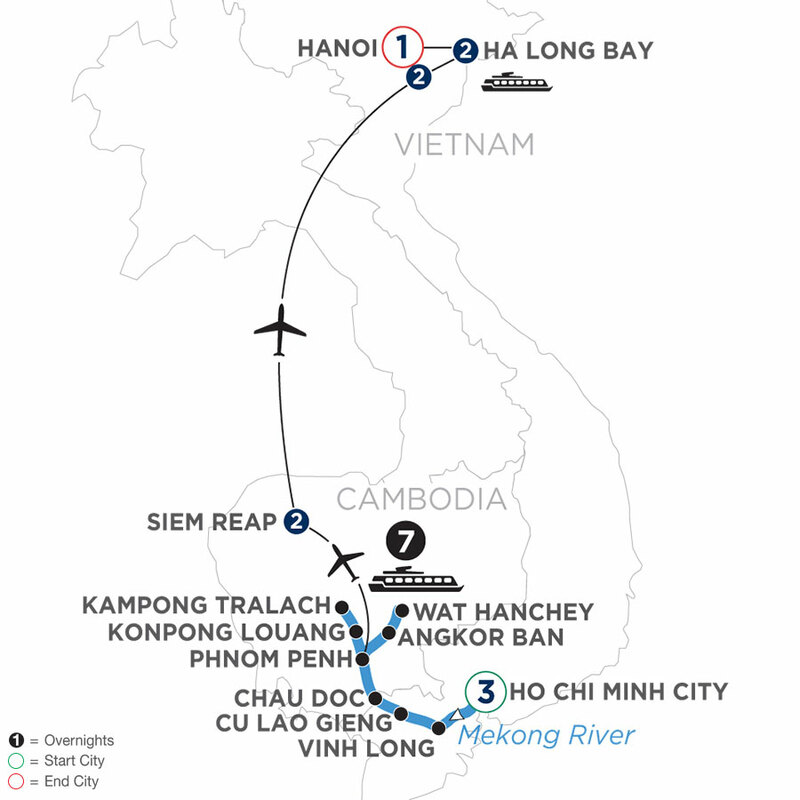 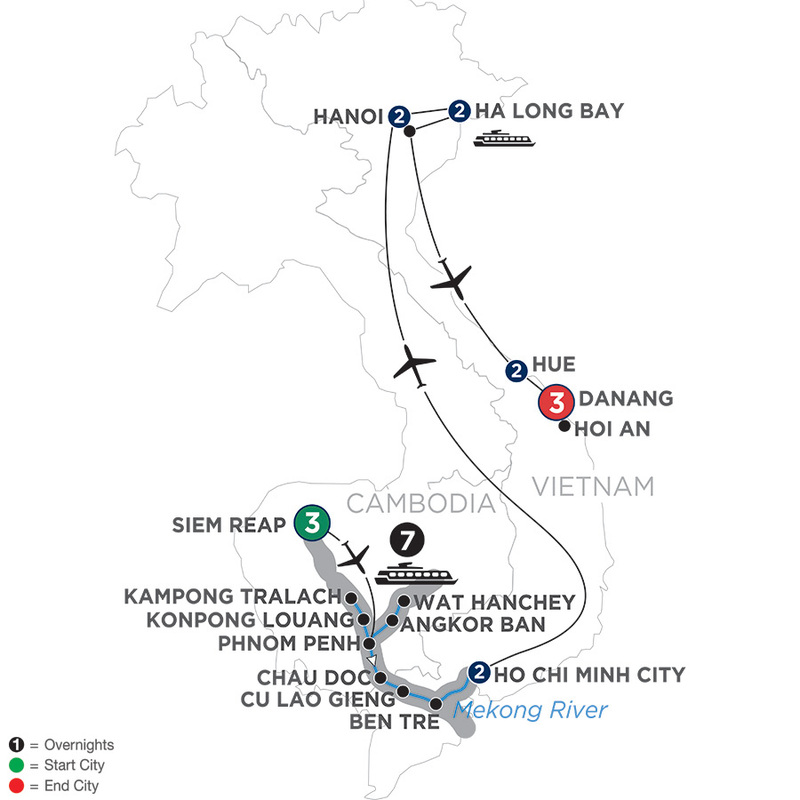 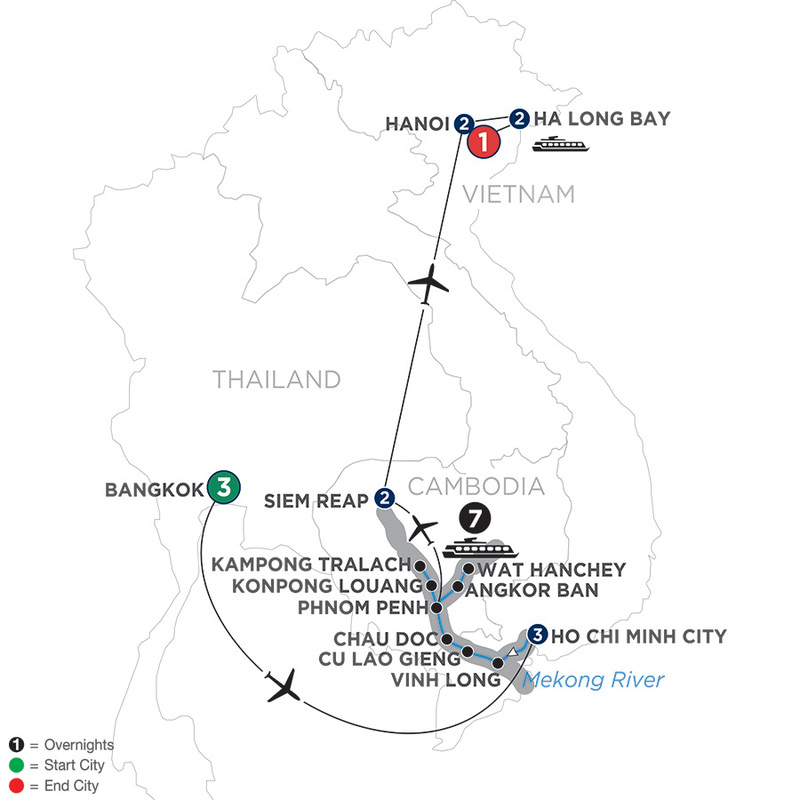 On this unique and inspiring Southeast Asia river cruise through Vietnam and Cambodia—including a stay in Bangkok, Thailand—you’ll be immersed in the cultures and ancient traditions as you sightsee and spend time with locals in the most fascinating places along the mighty Mekong River. 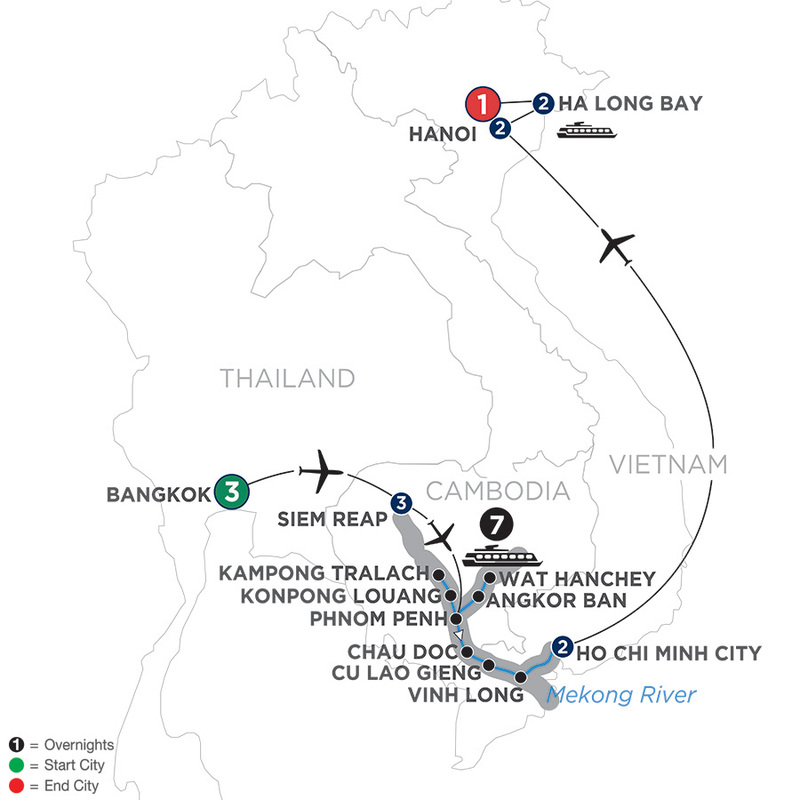 This magical Southeast Asia river cruise along the Mekong River will take you to Cambodia, Vietnam, and Laos, showing you the culture and local traditions of each country and the must-see sites along the way. 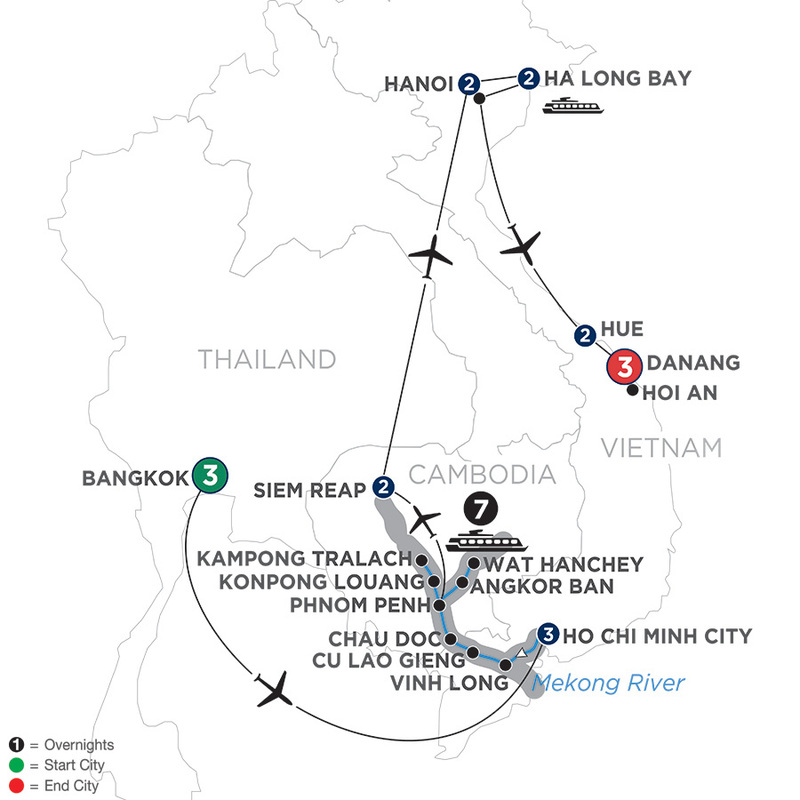 This inspiring Southeast Asia river cruise vacation begins in vibrant Bangkok, Thailand. 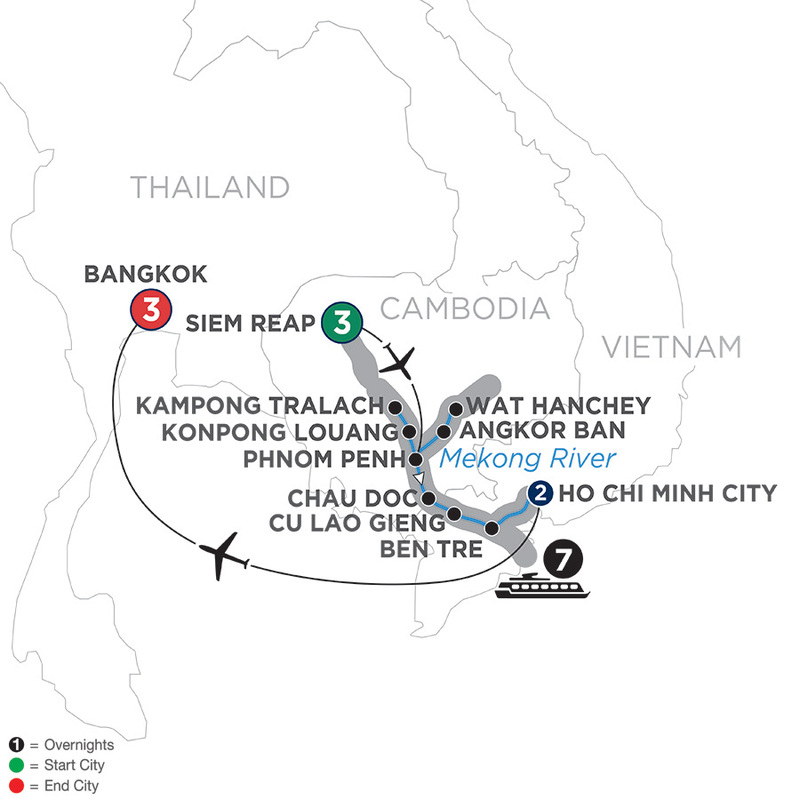 A boat ride on the klongs, Bangkok’s famous canals, is the perfect way to start your sightseeing. 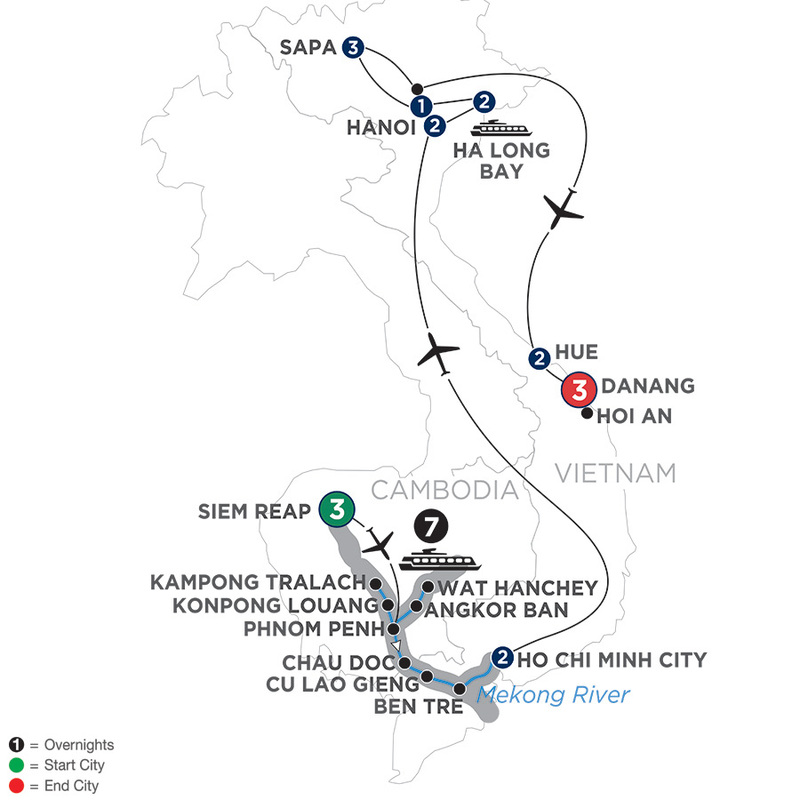 Continue at the Grand Palace featuring the Temple of the Emerald Buddha followed by the Temple of the Reclining Buddha—the oldest and largest Buddhist temple in the city. 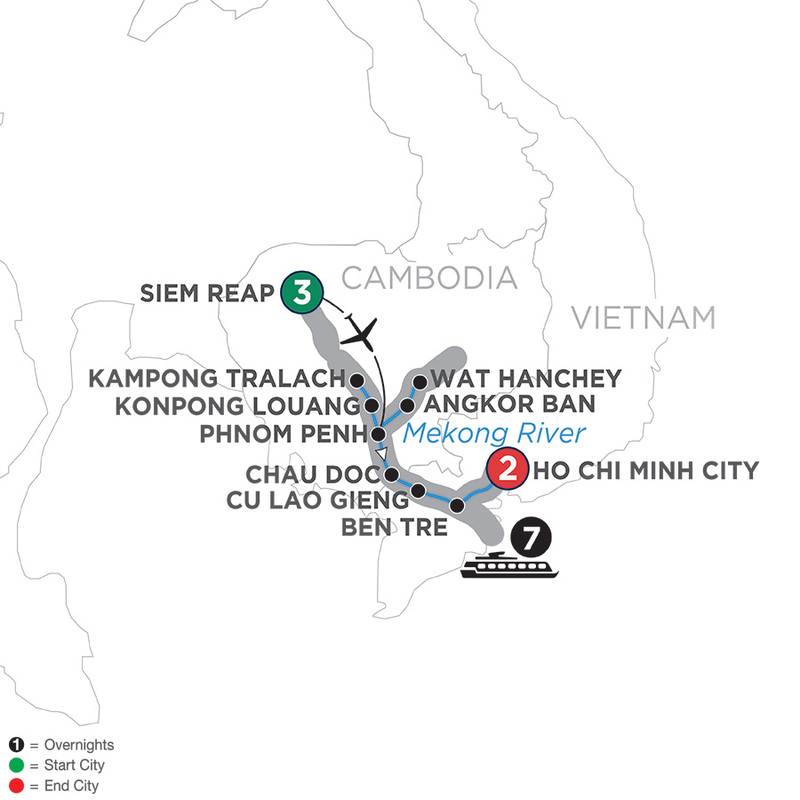 No results matching your filters were found. 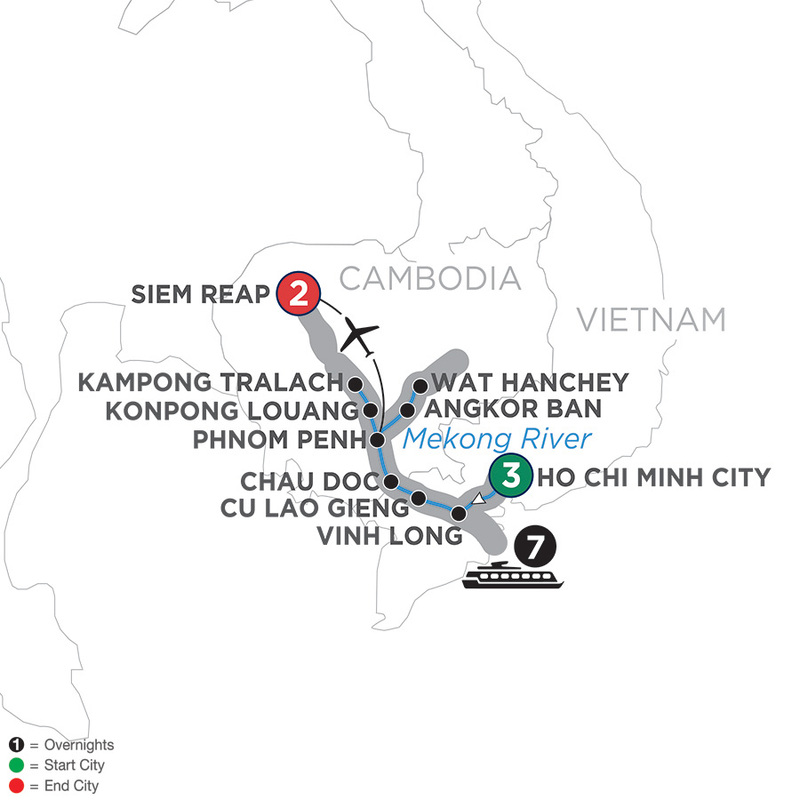 Please try changing your filter settings.